Here we have Metamorphose's contribution to the laforet Barbie event! As usual Meta goes for a really different and bold direction. There is something really classy about the pale pink with black combination. All in all its a really cute set! 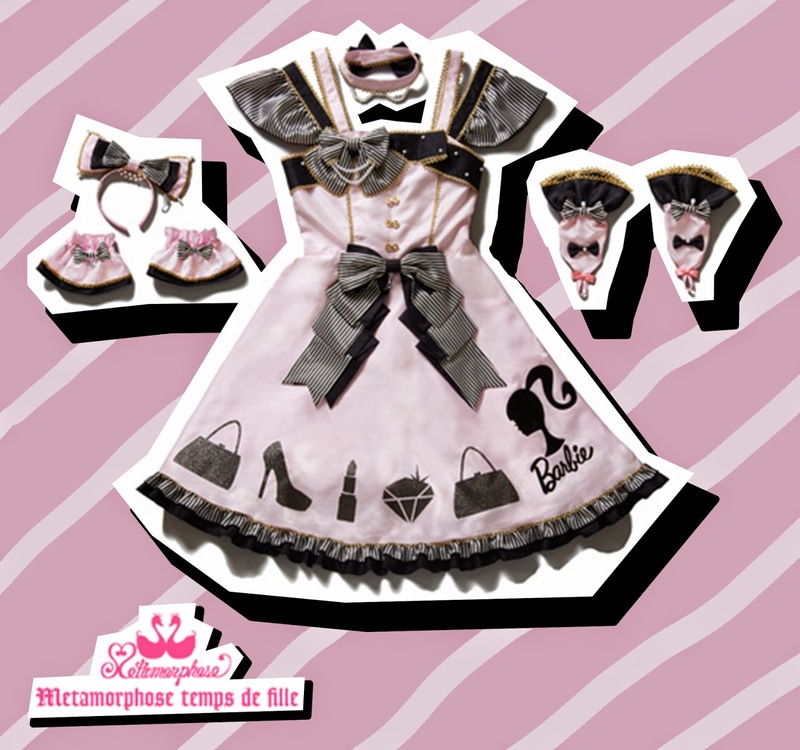 I think the print might be a little bit too simple in the shapes, I personally prefer the Angelic Pretty dress. But then again I'm always in love with everything Angelic Pretty creates. What do you think of the dress? Would you buy it if you could? More Barbie designs to come!